Which Machines are needed to make Basic Polo Shirts? Are you planning for making polo shirt? Read this post to learn about sewing machines used in manufacturing Polo shirt. Five different types of sewing machines are used in making basic Polo Shirt. These machines are mainly used for making this product. The same is shared for multiple operations when work content is less than pitch time and machine type is same for both operations. In the following table a machine requirement plan or layout has been shown for the production of 500 Polo shirts in 8 hours shift. Machine types and machine requirement in each operation has been also given in the following table. What machines are needed to make Basic Tee? How to calculate machine requirement to make garment in assembly line? 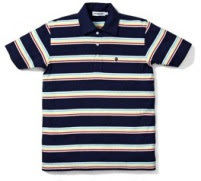 Online Clothing Study: Which Machines are needed to make Basic Polo Shirts? Types of machines used in making Polo Shirt.